We’ve Expanded! Thanks to our amazing customers, we now serve Peachland, West Kelowna, Kelowna,Lake Country, Vernon, Armstrong, Enderby, Salmon Arm, Lumby, and Silver Star. If you are looking for a reputable, affordable, Certified Green carpet cleaning service in the Kelowna and surrounding areas, you need look no further than family-owned BestCarpetCleaningKelowna.com for the best results. With more than 35 years’ experience servicing households and businesses in Kelowna and the entire Okanagan Valley, you can rest assured that we have the expertise to get the job done right the first time. Our dry chemical cleaning process will restore your carpets, upholstery and rugs safely to their former glory, and the best part is that it is completely environmentally safe for your home or office. Safe for kids, safe for pets. When you give us a call, Wally will give you all the details you need and give you a quote for your carpet, area rug, or upholstery cleaning in your area. Our specially formulated deep cleansing dry chemical methods get to work immediately on your carpets, removing even the most stubborn stains. No guessing the shampoo mix with us and definitely no wet and soggy carpets when we are done. We believe that there is no substitute for time-honored knowledge and experience gained over many decades of successful operation. You will be pleased you chose the number one in Kelowna carpet cleaners. Once we are done, you’ll be glad you appointed us. Wait until you see what we do for your carpets and area rugs, while restoring your tiles and grout to their sparkling best. We also clean your upholstery beautifully too. Considering the cost of new replacements over the much more affordable option of a professional clean, there really is only one choice. 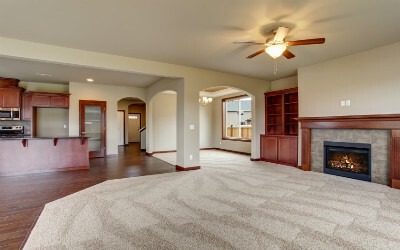 We clean all types of carpeting – domestic or commercial – including Axminster, Wilton, Nylon, Olefin, Carpet Tiles, and even Rugs, to mention just a few. What is special compared to outdated wet shampooing? We use 80% less water, and you can move back in within a few hours! We are here to make sure that your carpet cleaning needs are met with Professionalism as well as our Above & Beyond Policy. Our mission is to not only provide you with spotless and germ free rugs, but to establish a long term business relationship with you as well as all of our clients. We want to be your Kelowna Carpet Cleaning Service provider for life. Our team of professionals strive to continue to be the top carpet cleaning company in Kelowna and the Okanagan Valley. Professionalism…our company is dedicated to customer service and our professionals cater to every need making sure that you are satisfied with the service we have provided. Safety…we use only the safest products that have been tested with your family’s and your pet’s health in mind so you never have to worry about poisons or harmful chemicals with our cleaning. Quality of Service…we are here to solve your problems and make sure that you are 100% happy with the results. We are diligent at getting the work done correctly the first time, so you don’t have to worry about returning problems. ​It’s ok for us to be different from other Kelowna carpet cleaners. It is what separates us from the competition and it’s why we continue to be the top choice in the Okanagan for cleaning carpets. Using our dry chemical formula means you are not only getting the best available cleaning equipment, you will also benefit from our unique Hot Carbonating Extraction (HCE) process. This delivers a deeper, longer lasting clean combined with a green-certified solution that is environmentally safe and non-toxic for everyone in your home, pets included. Independent tests verify that our HCE process is effective in removing an average 98% of common household allergens from carpets and upholstery. We also neutralize 90% of airborne bacteria in your home with our amazing sanitizer. Simply leave us to get on with the job of cleaning your carpets with minimum disruption, so that you can relax and admire the beautiful condition of your coverings when we hand your home back to you. We aim to delight our customers with cleaner and faster drying carpets and upholstery. In addition to our proven, effective techniques, we know you are going to be delighted with the result, leaving you thrilled you chose our dry chemical process for your carpet cleaning. Your carpets will dry in hours – rather than days – because we use the minimum amount of water. Best of all, our method is gentle on your carpets and upholstery, and it is completely safe to the people and pets in your home. Try us and see for yourself – truly professional and friendly services delivered in a trustworthy, friendly manner. ​We know how important it is for you and your family to maintain a clean and healthy home environment. Your need may be part of a regular cleaning program, or simply because your family includes children, allergy sufferers or pets. We pledge to make your home cleaner and healthier for you and your family, using our proven methods and techniques. We use the latest carpet cleaning equipment available for the most advanced carpet cleaning services in Kelowna. Here are our main service offerings. If the job you want tackled is not on the list, we invite you to call and discuss your specific needs with us, the best Kelowna carpet cleaning company. We are also first in commercial carpet and upholstery cleaning maintenance programs around the Kelowna and Okanagan region. We use the very latest technology and offer professional bespoke carpet maintenance and cleaning programs with minimal disruption at your place of work. We work with hotels, professional office spaces, wineries, customer service locations, and many more to make sure that your business looks fantastic. We help protect your company assets while projecting the right impression, all conducive to a healthy work space for your visitors and employees! We say that a poorly maintained work environment is not an inspiring space for those affected. 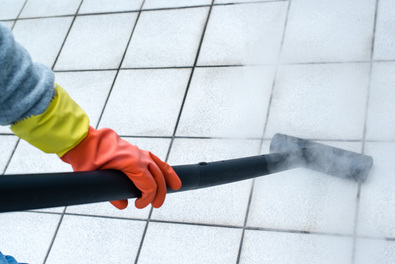 We have more than 35 years of industry experience and development in professional cleaning services, which means we know how to get the best results. Leave it to us to give your carpets, upholstery and tiles the deepest clean. We are proud of our technologically advanced stain-removal tools and products, that help us get the job done fast every time. When you choose us to clean your area rugs, you can rest assured that we take every caution to ensure there is no threat to the fabric during the cleaning process. Each material is different and requires due diligence before we even start cleaning – this stems from the many years of market place experience we have behind us. We make it easier for you by coming to your business or home and picking up your area rugs. We then take back to our shop where we carefully treat and brush the rugs until they are restored to their original beauty. We clean all types of area rugs including handmade, oriental, Persian, synthetic, Turkish, wool, and many other specialty or delicate area rugs. 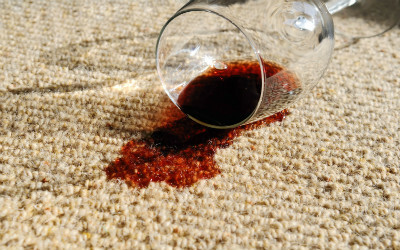 Whether your tenant has emptied red wine over your lovely carpets, muddy shoes have left stains, or the indoor plant pot fell on your rug we know exactly what to do to remedy and restore your carpet or upholstery. Experience is a great teacher and we have seen it all before and know how to put things right. We are equipped with state of the art carpet cleaning equipment and products to handle the toughest challenges, residential or commercial. Go on, put us to the test, there is no stain that we cannot remove. Call us right away for a free quote and advice on what we can do to help with all your carpet and tile cleaning needs. We cover Kelowna and the wider Okanagan region. Our carpet cleaning area includes West Kelowna, Lake Country, Vernon, Salmon Arm, Peachland, Summerland, Penticton, Lumby, and Armstrong. Call us today for great prices and superb results, or click the button below to get your free quote for all your household cleaning needs. We are the best carpet cleaners Kelowna has!